Drawings and a model of our Lightweave project will be exhibited during the Venice Architecture Biennale. The exhibit is supported by the GAA Foundation / European Cultural Centre's "Time, Space, Existence" exhibition at Palazzo Bembo, Venice, Italy. 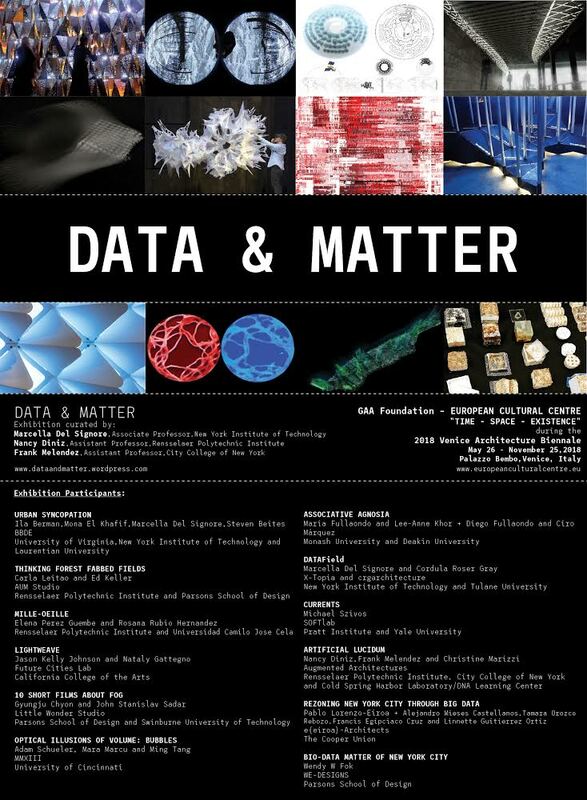 We are part of the DATA + MATTER exhibition curated by Marcella Del Signore, Nancy Diniz and Frank Melendez. A full list of participants can be found here. Google Map Location: Palazzo Bembo, Venice, Italy. We were excited to feature Murmur Wall at the 2018 Salone del Mobile Milano / Fuori Salone 2018. The installation was the featured artwork for the launch of a new clothing line Zeknit by Napapijri. More info and images coming soon! Now in its 36th year of existence, the ACADIA community continues to thrive. Since its inception, Acadians have produced pioneering work and research, making key contributions to the fields of architecture, design, computation, engineering, scholarship, education, and beyond. As the most selective peer-reviewed conference of its kind in the world, it is also an open setting to discuss and debate experimental ideas no matter who you are or where you come from. I often call ACADIA a “testing ground”. It is a conference that explicitly accepts and cultivates early work-in-progress explorations, where one can share and celebrate prototypes, iterations, glitches, failures, tests and triumphs. My own involvement with ACADIA began over a decade ago. After having just become an Assistant Professor and co-founder of Future Cities Lab, I was fortunate to have a project accepted for presentation at the conference. It was exciting to discover a peer group with overlapping research interests in fabrication and robotics, and also mentors willing to provide constructive feedback and encouragement. At these early ACADIA conferences I fondly remember getting to know the emerging work and research of people like Andrew Kudless and Jenny Sabin. Andrew’s early explorations in form-finding and material systems, most often using inexpensive wood laminates and plaster, allowed him to iterate and produce families of experiments, rather than mere one-offs. In a similar fashion, Jenny’s early research into textile systems and weaving algorithms allowed for the production of thousands of exploratory prototypes, some fantastically monstrous, others more refined and systematic. During these years I was also struck by the support and mentorship they received from the ACADIA community. People like Philip Beesley, Mike Weinstock, Achim Menges and Branko Kolarevic, come to mind. Not only do they regularly attend the conferences and provide support, but they mixed it up later in the evening, helping emerging generations connect the dots, meet future collaborators, and openly discuss potential new avenues of research. It is exciting to see projects from Andrew and Jenny now being realized. 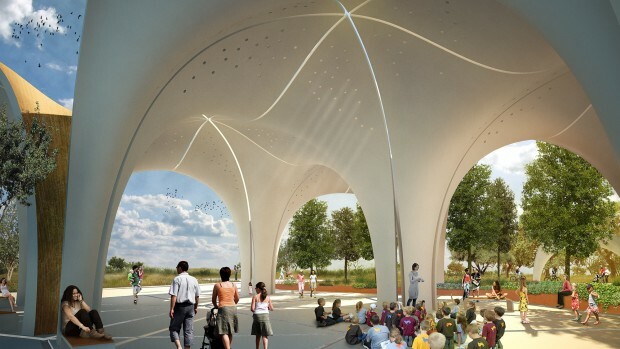 Andrew’s concrete shell pavilions at Confluence Park in Texas, and Jenny’s recently executed project Lumen for MOMA PS1’s Young Architects Program, are both excellent examples of Acadians moving from the “testing ground” to real-world constructions of the highest quality. On behalf of the ACADIA Board of Directors and its membership, as President of ACADIA I want to acknowledge the 2017 MIT conference team for their extraordinary organization, energy and thoughtfulness. Special thanks to Conference Site Chairs Skylar Tibbits and Takehiko Nagakura, the Technical Chairs, Exhibition Chairs, Session Chairs, Hackathon Chairs, and many other advisers and supporters including Dennis Sheldon, and Head of the Department of Architecture at MIT, Professor Meejin Yoon. Workshop Chair Justin Lavallee (with Brandon Clifford), assistant Maroula Bacharidou, copy editors, graphic designers, staff members Patricia Driscoll, Inala Locke and many others were also instrumental to the success of the conference. Chairing and hosting a conference requires a thankless series of meetings and tasks that require vision, energy, a sense of humor, diplomacy and above all patience. Skylar, Takehiko and the extraordinary team they assembled, have patiently and generously worked with us over two years to craft a thought-provoking conference, exhibition, workshops and hackathon events. I would like to acknowledge ACADIA’s many sponsors this year. Year-after-year the support of sponsors allows us to host a world-class event with an unsurpassed roster of keynote speakers, awardees, exhibits, publications, workshops, special round-tables, events and celebrations. Additional sponsorship from Autodesk allowed us to support more ACADIA Conference Student Travel Scholarships than ever before, and the ACADIA Autodesk Awards Program will honor and financially support emerging paper and project research again this year. I would like to personally thank Matt Jezyk from Autodesk for working with us over several years to make this an annual feature of the conference. Shane Burger, in his role as ACADIA’s Development Officer, took the lead with sponsorship again this year. Adam Marcus, in his role as ACADIA’s Communications Officer, also maintained key partnerships with Architect’s Newspaper and Archinect. Under their leadership our development and communications efforts have never been stronger. I would also like to thank the ACADIA Board of Directors and Officers. Through the leadership of this dedicated group of people, ACADIA’s organization, finances, sponsorships, marketing and other outreach efforts have never been stronger. In addition to Shane and Adam, board members Mike Christenson, Kory Bieg, Dana Cupkova, Philip Anzalone, Kathy Velikov and others, have taken key leadership roles this year. We look forward to continuing to build-upon and evolve these efforts in the coming year as ACADIA prepares to host its follow-up conference in Mexico City in October 2018. Finally, this year the ACADIA community mourned the tragic loss of pioneering architect Zaha Hadid. She was previously awarded ACADIA’s highest honor - the ACADIA Lifetime Achievement Award for Design in 2014. Zaha, along with her partner Patrik Schumacher and legions of extremely dedicated employees and collaborators, produced a trail-blazing body of cutting-edge work. Together they pushed design, computation, fabrication and construction into radical new territories. For many years her employees, collaborators and students have also made critical contributions to the ACADIA community. While we mourn Zaha’s loss, we also celebrate and take inspiration from her spirit of inventiveness and risk-taking. At this year’s Conference and Annual Meeting, we will honor Zaha for having the courage, patience and fortitude to devote her life to translating spectacular visions, paintings and models, into buildings and public spaces with the highest degree of conceptual thinking, craft and computational rigor. 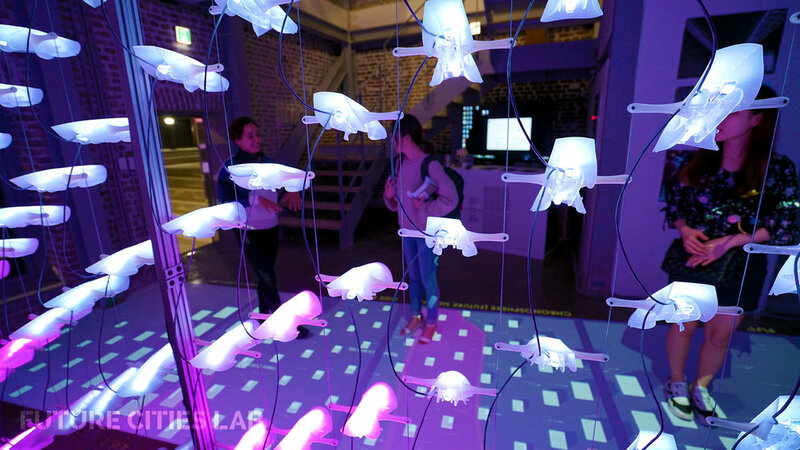 Future Cities Lab had the honor to create a new installation for the 2017 Seoul Biennale of Architecture and Urbanism, directed by Hyungmin Pai and Alejandro Zaera-Polo (curated by Jeffrey S. Anderson), and running from September 2nd to November 5th, 2017. Our installation Chronosphere is a prototype for a new urban sidewalk, an activated surface that synthesizes pedestrian movement and proximity into animated interactions. We relished this opportunity to test out new ideas and technologies as well as the fantastic chance to travel to Seoul to see new works and meet new people. The Biennale’s focus is on the idea of "Imminent Commons: The Expanded City", nine themes around which cities can begin to examine pressing global concerns and formulate platforms for addressing them. We are participating in the “Sensing” common: looking at the future of sensing in our cities, from the proliferation of cameras and sensors in the public realm to the data being collected straight out of our pockets. We were honored to have a wide range of friends and colleagues around us, including Axel Killian, Mark Wasiuta, Sissel Tolaas and The Living, as well as others participating in the Biennale including Ibañez Kim, Liam Young, Tomas Saraceno, Carlo Ratti, Philippe Rahm, Stoss, Philippe Block and Dirk Hebel, Mitchell Joachim, Brandon Clifford and Wes McGee, Lateral Office, Yusuke Obuchi, and many others. We initiated our initial research with a simple question: how we can begin to materialize the data the city collects about us? How can we make this data tangible and visceral while leveraging it to enliven public space and social interactivity? 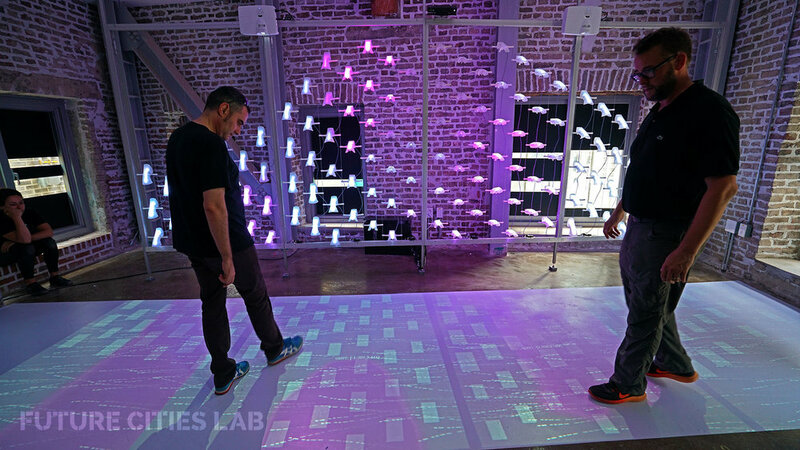 We quickly fabricated a system of LED modules and projection mapped surfaces in order to test a variety of sensing methodologies and interactive interfaces. The final piece is an assemblage of 3D printed modules suspended in lightweight aluminum frames with projectors mounted above and a vinyl projection surface below. Chronosphere interprets it's surroundings though a mixture of IR sensors and depth cameras, reading the location of people moving across it's surface. Each person is assigned a name and color, and as they walk atop the projection surface their movement is reflected as digital avatars of light along the wall, cascading and fusing with one another. On the ground light particles flow around people's feet as animated tiles create an enhanced sense of presence in the space. Seoul itself was a fascinating city, a delightful mix of high-speed global capitalism and the well-preserved remnants of an ancient capital. Though we were only there for five days we did our best to indulge in the culture, eating amazing food, drinking soju, singing songs and winning stuffed animals from very difficult claw machines. It was a strange experience being there, especially with the significant language barrier. Luckily, we were able to procure everything we needed with ample gestures and some sketching (though our writing surfaces spoke volumes of the strangeness of the political environment, see image below). It was a remarkable time and we look forward to visiting again in the future! ACADIA was formed in a meeting 35 years ago on Oct 17, 1981 at Carnegie-Mellon University in Pittsburgh. Since its inception the conference has served as an incubator for emerging ideas in feedback loops between academia, industry and professional practice. 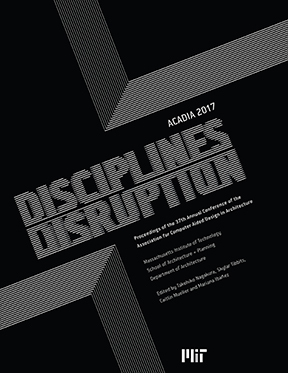 Over the years ACADIA’s members, leadership and attendees have included some the most inventive and important figures in the fields of architectural education and design, computation and engineering. While ACADIA is the most selective peer-reviewed conference of its kind in the world, it is also an open setting to discuss and debate experimental ideas no matter who you are or where you come. 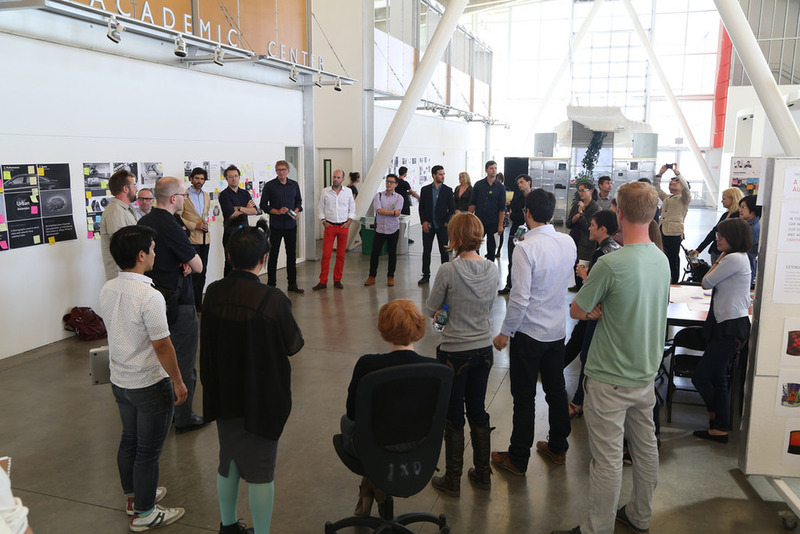 The fruits of these debates can be found in influential schools and research centers around the globe; in award-winning software, hardware, products, furniture and installations; to much larger constructions defining cityscapes from California to New York, London, Dubai, Beijing and beyond. 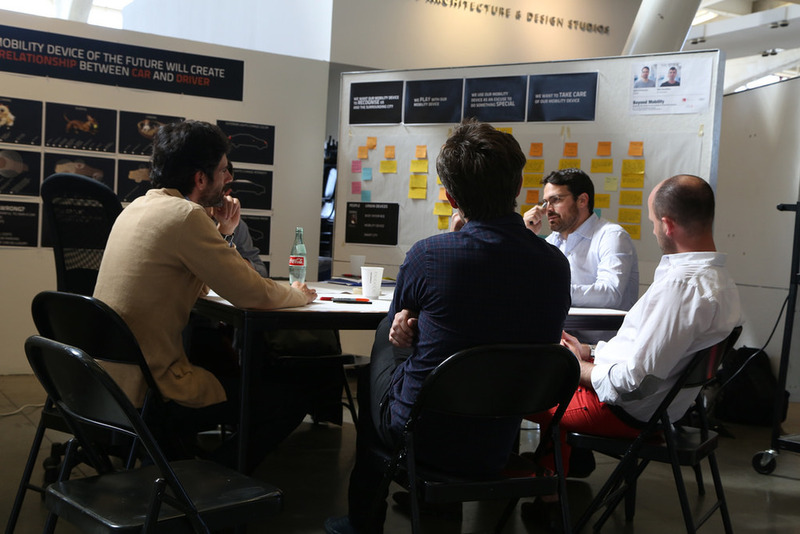 Ideas get percolated at the ACADIA conference, iterated, prototyped, questioned, refined, built, then interrogated further as time passes, where they ultimately continue to evolve. At last year’s event in Cincinnati we organized a special session called Pioneers of Computational Design moderated by Robert Aish featuring Don Greenberg, Tom Maver, and one of ACADIA’s founding members Chuck Eastman. This remarkable session revealed that our founding member’s interests extended beyond “CAD” and included pioneering research in topics including virtual reality, computer graphics and building information modeling. 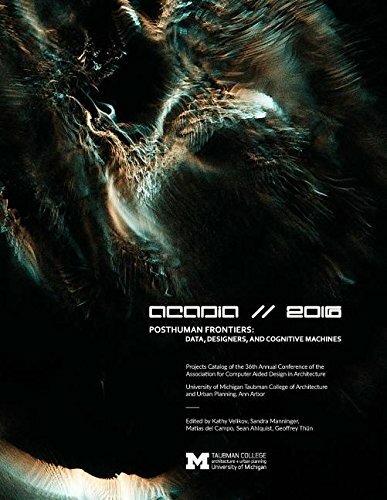 The session was also a reminder of how far ACADIA has come in 35 years, where computational and technical subjects are no longer partitioned from the complexities of the architecture studio. This year’s conference sessions and publications will no doubt epitomize this transition. Presenters will describe emerging pedagogies, research models from schools, labs, shops and offices around the globe, where computation and design are now pursued simultaneously, most often entangled with other unexpected disciplinary and non-disciplinary concerns and possibilities. On behalf of the ACADIA Board of Directors and its membership, I want to acknowledge the 2016 University of Michigan TCAUP team for their extraordinary organization, energy and thoughtfulness. Special thanks to Conference Site Chair Geoffrey Thun, Conference Co-technical Chairs Kathy Velikov and Sean Alquist, and others members of the team including co-chair Matias del Campo, workshop co-chairs Wes McGee and Catie Newell, exhibition chair Sandra Manninger, staff members Kate Grandfield, Deniz McGee and many others. As they have now discovered, organizing an ACADIA conference can be a little like using your own backyard to host a wedding, a graduation and a funeral - all in one weekend. Each event requires the hosts to assume different personalities - the strategist, the enforcer, the MC, the inspirational speaker. It requires a thankless series of meetings and tasks that require vision, energy, a sense of humor, diplomacy and above all patience. That being said - Geoffrey, Kathy, Sean and the extraordinary team they assembled, have patiently and generously worked with us over two years to not only craft a thought-provoking conference, exhibition and workshop series, but also produced some of the highest quality publications ACADIA has ever seen. We extend to you, and the entire TCAUP community, our sincerest admiration, respect and appreciation. I would also like to acknowledge ACADIA’s many sponsors this year. Year-after-year the support of sponsors allows us to host a world-class event with an unsurpassed roster of keynote speakers, awardees, exhibits, publications, workshops, special round-tables, events and celebrations. 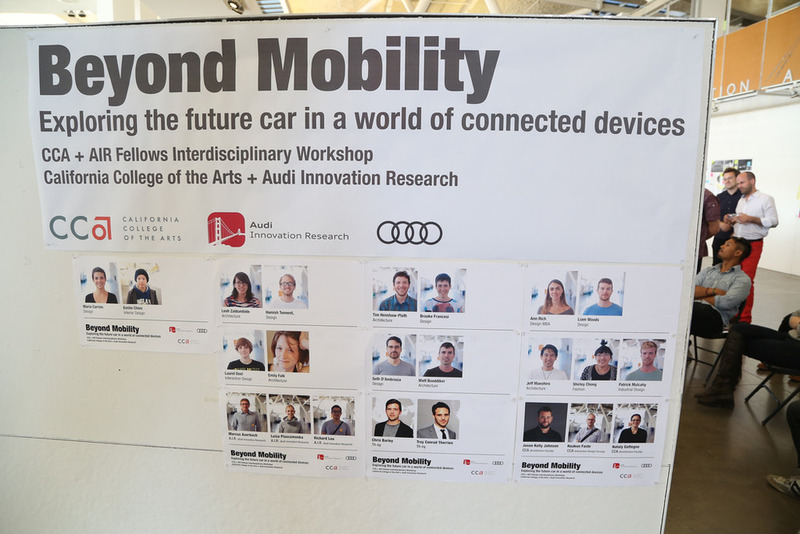 Additional sponsorship from Autodesk allowed us to support more ACADIA Conference Student Travel Scholarships than ever before, and a new ACADIA Autodesk Awards Program will honor and financially support emerging paper and project research. Lastly, I would like to thank the ACADIA Board of Directors and Officers. Through the leadership of this dedicated group of people, ACADIA’s organization, finances, sponsorships, marketing and other outreach efforts have never been stronger. We look forward to continuing to build-upon and evolve these efforts in the coming year as ACADIA prepares to host its follow-up conference at MIT in Cambridge, Massachusetts in October 2017. What will the city around us be thinking, seeing, and feeling in the near future? How will its desires and fears manifest? How can the static buildings and infrastructure of the city become active in creating spaces of engagement to tackle these issues? We have recently been experimenting with an evolving set of interfaces and simulations of interaction for Lightweave, and we find this to be a crucial part of our process. With the kinds of works we create the digital prototyping is equally as important as the physical prototyping. As you will see below, the three different versions are very much works in progress, but as the complexity of our understanding of the project further develops it's useful to catalog and reflect on past iterations. This first version simply followed the intensity of a sound source and activated light according to it's location (see image above). One of the most important lessons from Murmur Wall was nailing smooth drawing, which we achieved by mapping a varying position on a standard Gaussian function to color parameters. As we increased complexity we overlaid a drawing of Lightweave on the interface and generated a simulation of different sound sources, such as pedestrians, bicycles, cars, and trains, which trigger various light patterns over the installation to get a global sense of the aesthetic. We then moved on to a more response-based simulation and changed up the input. This version uses motion tracking cameras to measure visible traffic density to guide a "swarm" of light across the piece. The amalgamation of blobs in the upper gray block represents a passerby. Each of these interfaces is already controlling the in-office mockup and the iterations of lessons from both the physical and digital prototyping feed into each other. We will continue to push the boundaries of both of these design realms so please stay tuned as Lightweave moves towards realization. Future Cities Lab was excited to work with the visionary folks at Attention Span to help envision the future stadium for their clients Delaware North (the Jacob's family - best known as the owners of the Boston Bruins). Just ahead of the 2016 Super Bowl, the project got some recent press in the USA Today - gracing the front page of the Sports Section on 1/26/16! From the USA Today: The "Future of Sports" is a 50-page document that imagines what's ahead in the industry over the next 25 years. These are not so much predictions of what will happen as working versions of what could happen — provocative prognostications based on interviews with academics and futurists, all subject to inevitable revision as Father Time throws his customary curve balls." The project team included: Jason Kelly Johnson, Jeff Maeshiro and Elaine Suh. In an effort to document and publicize the various efforts that went into bringing our project Murmur Wall to life we are starting a series of "how to" blog posts, explaining aspects of Murmur Wall's design and making with an FAQ style resource. Today we are beginning with the "data pods." 1. What is a Murmur Wall data pod? We conceived the Murmur Wall as a physicalization of the flow of data, in which the acrylic tubes represent data coursing through the Yerba Buena Center for the Arts (YBCA) plaza. The data pods are points where this data is untwined, decoded, and made legible in text. Local web searches are highlighted in magenta while "whispers", text sent directly to the wall through murmurwall.net, streak through in cyan. 2. How were they made? Each data pod is made of 3D printed panels, held together by a laser cut acrylic frame, and bristling with acrylic rods. Each pod took roughly 250 hours to print, requiring over 1,500 hours of printing spread across numerous printers to finish, with additional manual effort for cleaning, gluing, and assembly. We wished to exploit 3D printing’s capacity to create a durable, variable panel that expressed the geometric complexity we were trying to achieve while also transmitting light through its surface. This intricate, fibrous, luminous design would have been impossible to fabricate without 3D printing. 4. How do the data pods work? Embedded within the data pods are waterproof enclosures which protect the text displaying LED matrices. These matrices receive search and whisper data from a server inside the YBCA building. 5. How were the data pods designed? We designed the data pods in Grasshopper, a modeling software which allowed us to generate innumerable iterations of the pods by tweaking specific base parameters. The animation below illustrates different widths, thicknesses, and other variables we tweaked to create the final pod panels. In the end, each Murmur Wall data pod is a complex, durable, and intelligent sculpture. They are the culmination of months of iterating, cutting-edge fabrication prototyping, and lots of good old-fashioned elbow grease. You can enjoy them in the Murmur Wall at the Yerba Buena Center for the Arts entry plaza in San Francisco, now through the end of 2016! ** Link to the official MSPF Data Lantern prototype page here. 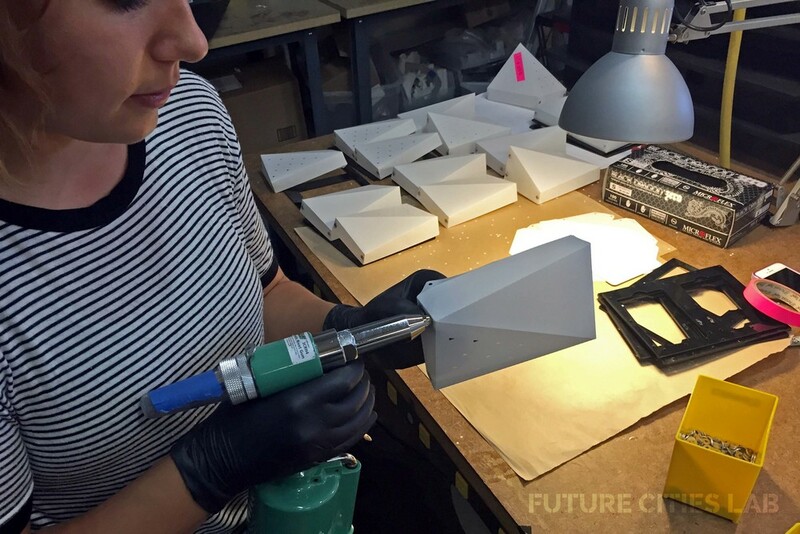 Future Cities Lab recently participated in the San Francisco Market Street Prototyping Festival (MSPF) design charrette, where we caught up on the panoply of designs and fructifying prototypes. With two months left until the festival start date of April 9th, projects are developing quickly and promise some interesting concepts for public space. Questions of history, human interaction, policy, and public art are all up in the air, tied together neatly by the apropos choice of venue, The Village, located at 969 Market Street. Open only since August of last year, the space has already attracted a wide range of corporate events, and with it's street-facing doors wide open became the perfect location to lure in random passersby from Market Street, the festival's key clientele. 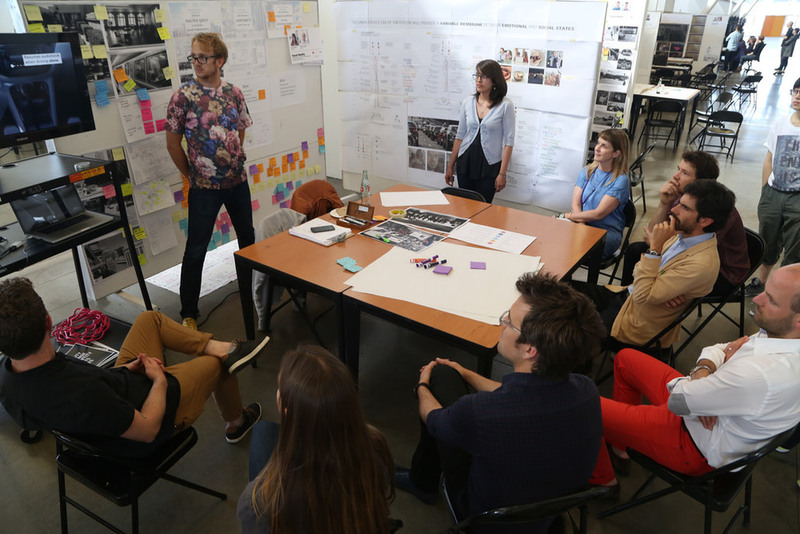 The 50 design teams come from a wide range of backgrounds and the projects encompass a wide range of ideas. The Show Box by Jensen Architects is a variable set of cardboard tubes strapped together to form a playful terrain for seating and performance. Daily Boost is a series of platforms for learning affirming poses and postures, a kind of gym for the soul. Meet Wall by AMLGM is a sensing wall that flexes open to become more transparent when people approach, encouraging interaction and performance. This festival is an ambitious undertaking, and is shaping up to deliver on it's promise of urban innovation. For us, this is the powerful potential of the MSPF: the opening up of urban design to an informed public, the crowd-sourcing of innovation through a structured system of haptic feedback between citizen and city, the maker ideology inherent to the Bay Area. This is what our project, Data Lanterns, is attempting to capture. Instead of data visualization, we believe data physicalization can generate spatial and public benefits, improving the city by tapping into the constant stream of data it produces. For more info please check out our Data Lantern project page (and if the mood suits you, "support" us) at a new civic innovation in its own right, Neighborland: https://neighborland.com/ideas/sf-data-lanterns-a-network. There's been a bevy of research into 3D printing clay in recent years, to which we strove to contribute to with the Serpentine Clay Printer project, as well as with student research in Jason's Creative Architecture Machines studios (2013, 2014) at CCA. The latest update to this research is a part of exhibition Data Clay: Digital Strategies For Parsing The Earth at the Museum of Craft and Design, for which we constructed our own 37" long, 28" wide, 20" tall 3D print gantry (nearly 12 cubic feet). Building on the previous clay research we developed a new clay polymer recipe and new print algorithms optimized for stabilizing the clay slip. In addition to these innovations we developed a machine vision system using Firefly / Grasshopper that allowed us to control our valves and release air bubbles on-the-fly. 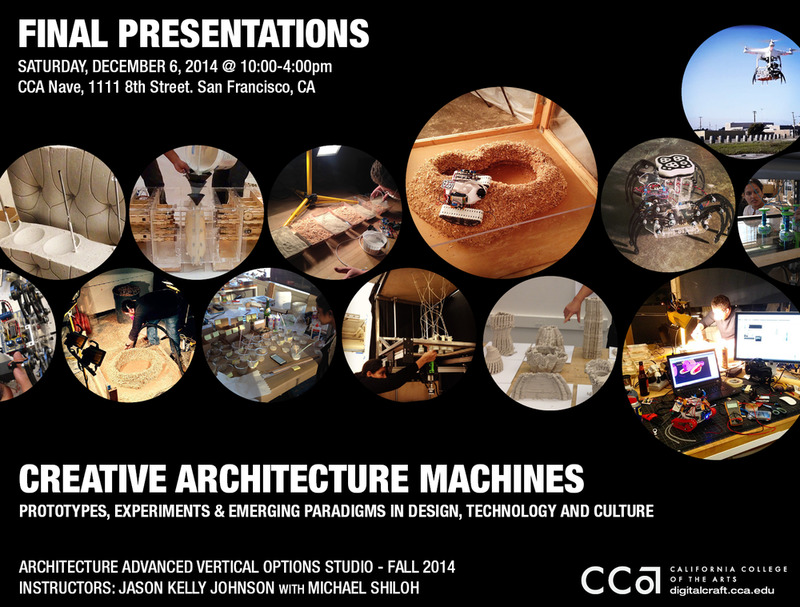 Jason was thrilled to teach another CREATIVE ARCHITECTURE MACHINES studio this Fall 2014 semester at CCA San Francisco. Special thanks to co-teacher Michael Shiloh, the students that included UGrads, Grads and students from CCA's amazing MAAD Digital Craft program, and our collection of reviewers and various guests throughout the semester. Special thanks to the Architecture staff, folks in the CCA Hybrid Lab (supported by a generous grant from Intel) and the Rapid Prototyping Studio for their support throughout the semester. This semester the Digital Craft Lab also hosted the Creative Architecture Machines Colloquium which brought together an incredible line-up of speakers and participants. Jerem Blum #throughglass, Google X; Marco Teran, 3D Systems; Mitchell Joachim, Terreform1 NYC; Mike Estee, Other Machine Co; Jonathan Proto, Bot & Dolly / Google; Sean Lally, Weathers - Chicago; Allison Arieff, SPUR / New York Times; Kendra Byrne, Bot & Dolly / Google; Lian Eoyang, CCA / VIF; Mike Kuniavsky, XEROX PARC; Elizabeth Goodman, Confectious / UC Berkeley; Petr Novikov, IAAC Mini-Builders / Labori Construction Robotics; Fedor Novikov, Labori Construction Robotics; Peter Hirshberg, Gray Area Founder / ReImagine; Michael Sturtz, Crucible / Stanford University d-school; Sasha Leitman, Stanford University CCRMA; Steve Okay, Hacker; Scott Minneman, CCA / Onomy Labs. Synopsis: Swarmscaper explores the potential of an autonomous swarm of robots capable of operating independently in hostile environments. Utilizing on-site materials to create inhabitable structures, the robotic swarm’s behavior materializes through a slow and constant process of layered 3d-printing. Synopsis: The Sky Printer is an adaptable, cable-based delta-gantry system that can span large areas with a minimal footprint. The Sky Printer is designed for large- scale applications in potentially remote locations. It can be understood as the evolution of the conventional 3d-printer. Primary Fab Materials: Clay, sand, salt, bio-matter including seeds, worms, etc. 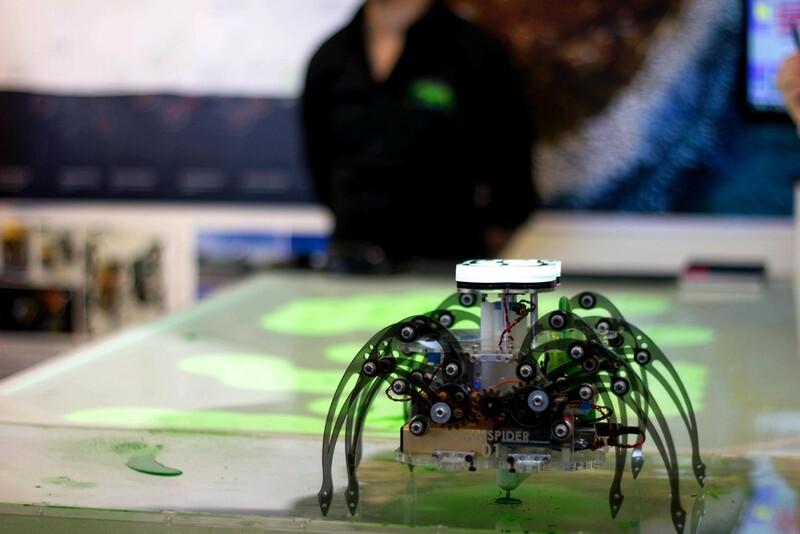 Synopsis: Terra-Spider is part of a wireless robotic system capable of designing, repairing, and maintaining vast landscapes over extended periods of time. Taking inspiration from current farming and remediation practices as well as land art projects, this proposal rethinks the way landscapes are addressed. By programming each robot to understand the given site conditions, and equipping it with tools to remove and place bio-matter, it begins to take on a life of its own, creating patterns in and shifting the soil to best address the specific site’s needs. Synopsis: Space Weaver is designed to create ultra-lightweight woven structures with fibrous materials. Using a 3-axis gantry system, woven forms are created in a similar process as most 3D printers, except they produce a significantly higher strength-to-weight ratio, result in zero waste, and require no support material. In short, Space Weaver is a seven foot tall 3D printer that uses carbon fiber and fiberglass to print five foot tall woven structures. Synopsis: Live Forms revolutionizes the process of creating mass customizable formworks for construction. By allowing for a direct link between a parametric computer model and a robotic jig, a designer can iterate and explore a multitude of design potentials. The project was influenced by some amazing past work by the Institute for Applied Autonomy, the Feral Robots work by Natalie Jeremijenko, the artist Eve Mosher, the maps / earthworks of Robert Smithson, and many more. We also admire and follow many other data obsessed people including Laura Kurgan and the folks at Stamen Design in San Francisco. 02. Coding Tools: We use the graphical coding environment Grasshopper to import, process and visualize our initial data-sets, and we use the plug-in Firefly to communicate with our Arduino micro-controllers, radios and GPS units. Grasshopper is built upon the 3d modeling software called Rhino. We also use Mission Planner to upload our GPS waypoints to the rover's Arduino and keep track of the robot in real-time. We are experimenting with using Google Trends in an upcoming project. Below you will find the real-time trending Google search right now!